JINJA – Police have arrested over 20 street kids in Jinja Municipality after they destroyed property in a revenge attack following the killing of one of their own who was caught red-handed breaking into a vehicle. Witnesses said that the street kid was caught attempting to break into a Toyota Custom on Clive Road East in the wee hours of Tuesday morning. Consequently, the car owner made an alarm, attracting the attention of residents who pounced on the youngster and beat him to death. However, on learning of the news on Tuesday morning, the other street children swung into action and started pelting stones at buildings and residents in revenge. “They destroyed windows and doors on several buildings, snatched charcoal stoves, frying pans, saucepans, tents, children’s bicycles and other items they came across along Clive Road East and Iganga Road,’’ said Alice Kaleebi, one of the residents. 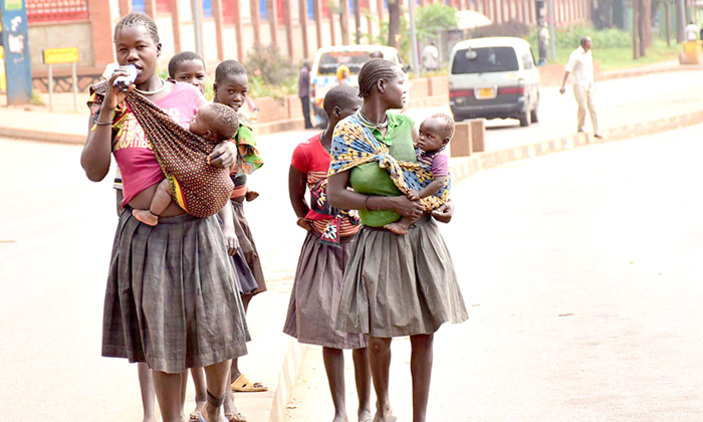 The Jinja District Police Commander, Mr Vincent Irama, said they then swung into action and arrested over 20 street children. “We have so far arrested 20 street kids who are actually street adults because they are above eighteen years,” Mr Irama said. “We shall not treat them as children and are going to take them to court and charge them with various crimes including causing insecurity in the area,’’ he added. Records at the Flying Squad Unit (FSU) of the police show several street teenagers have often been used in murders and aggravated robberies in Kampala, Wakiso and Mukono.